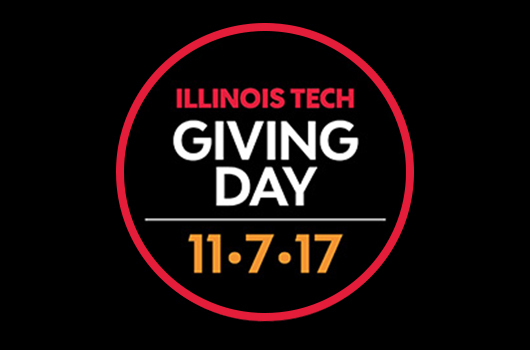 Save the date for the third annual Giving Day on November 7, 2017! This year's Giving Day promises to be the best one yet—with your help, of course! We hope you'll join us this year by spreading the word on social media, sharing with fellow alumni, and even being part of the fun on campus. Volunteer to be an online ambassador! Complete this form to let us know you'd like to help spread the word, volunteer on campus, or join us on November 7 in another way. Email annualgiving@iit.edu with any questions.